With modern technology at hand, we usually space out with our phones. Spending quality time with our families however must be our topmost priority. 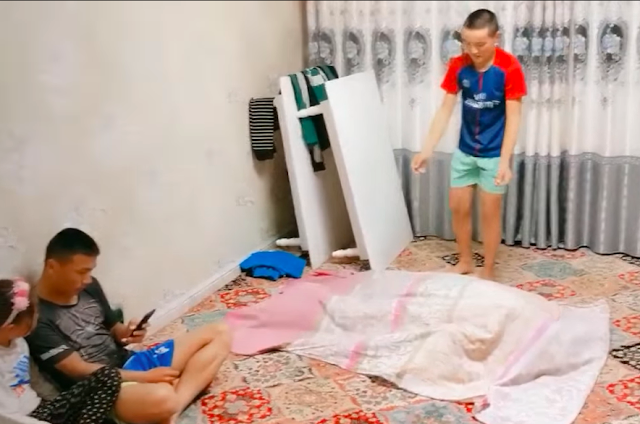 Recently, a pair of siblings pulled a prank against their parents who were busy with their phones. 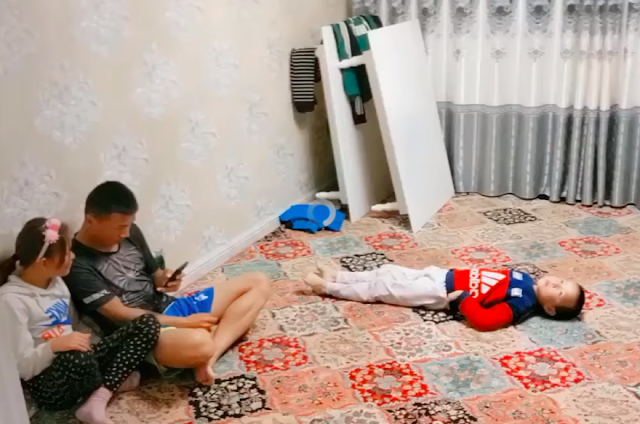 The unknown family is seen to be at there home, the parents were on one side seemingly watching a video on a smartphone. While the younger son was lying on the floor, bored but not bothering his parents. While most kids would bother their parents, this kid didn't. He and his brother seemed to stay low key, perhaps they are used to this set-up? A few moments later, after still being ignored by their busy parents; the younger sibling remained still while his older brother placed a blanket on top of him. At this point, people might have speculated that the younger sibling would proactively respond to this but didn't move. This child seems indifferent and bored. The parents gave a glance to what was happening but remained intent with what they were watching. Fully covering his younger sibling, the older brother raised his arms seemingly performing a magic on his brother. 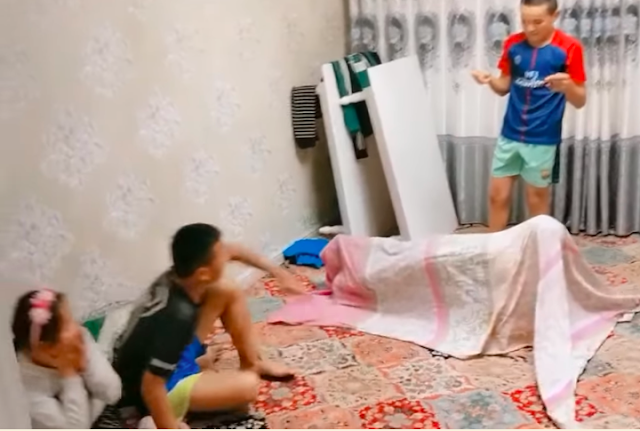 True enough, the child's boy moved and appeared to be levitating from the ground as the blanket rises. May the parents spend more time with their children because time isn't something we could turn back. Give more attention to your children; have time to listen to them and play with them.